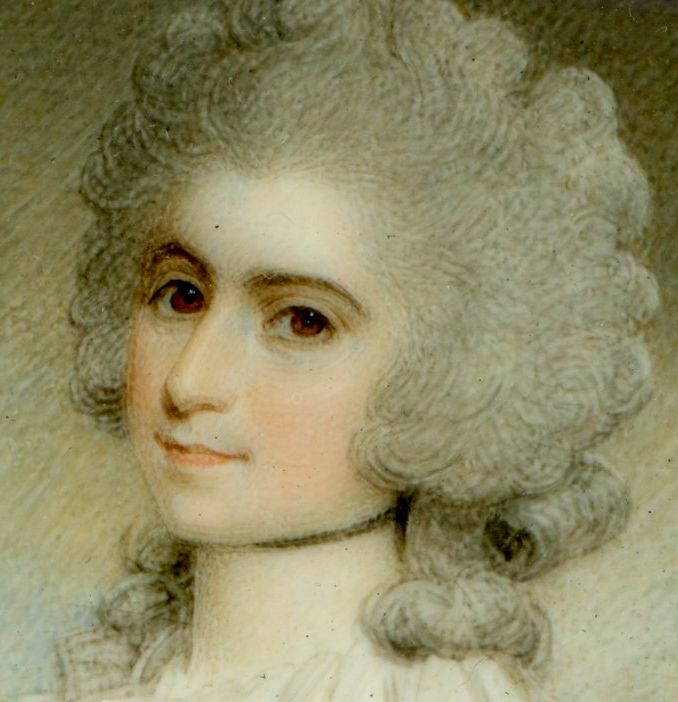 The simple ribbon necklace was a popular fashion accessory that is surprisingly helpful in dating portraits depending upon whether it is tied at the back, as it usually was during the 1760s, or tied at the front as it more usually was during the later 1770s. By 1790 it was quite out of fashion! This finely featured lady is wearing a charcoal dress with a tiered lace fill-in and a black ribbon necklace that is tied at the back. Her powdered hair is worn in the à la conseilleur style with rolled curls. The portrait is painted by Samuel Shelley (1750-1808), an artist who is well noted for his sensitive portraits of ladies and children. Coming from a modest background, Shelley is thought to have been self-taught before he entered the Royal Academy Schools at the age of seventeen. He developed a distinctive style of painting that often conveyed the character of his sitters. 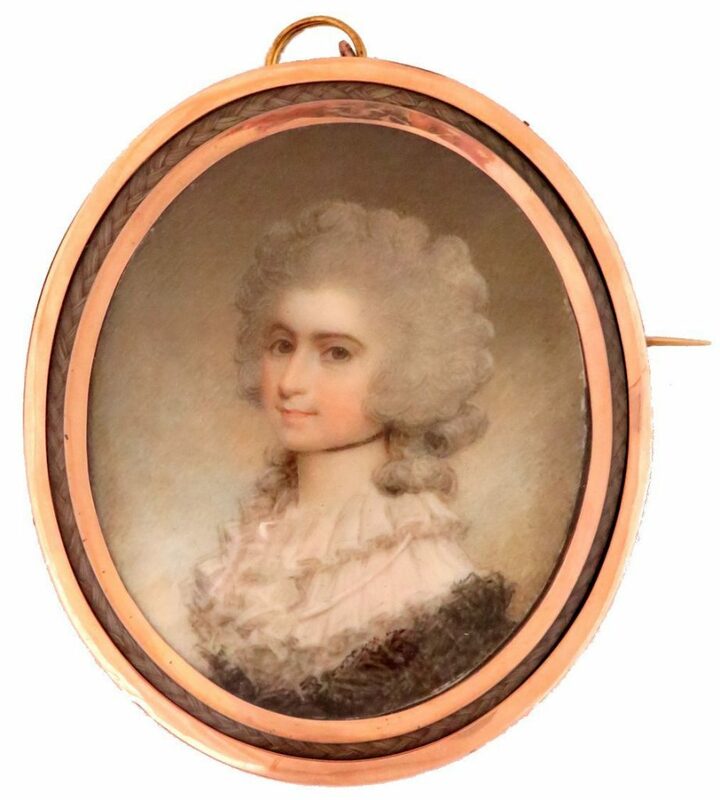 The miniature is set in an attractive gold frame with a narrow border of finely plaited hair. 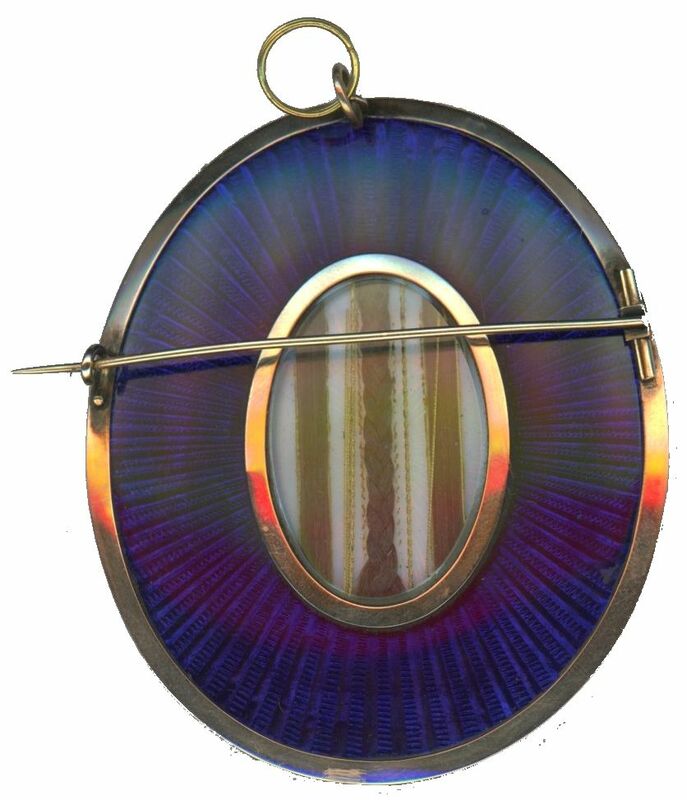 The reverse has a blue glass border with an inner aperture that is glazed to reveal three columns of plaited and straight hair with gilt-wire set on opalescent glass. 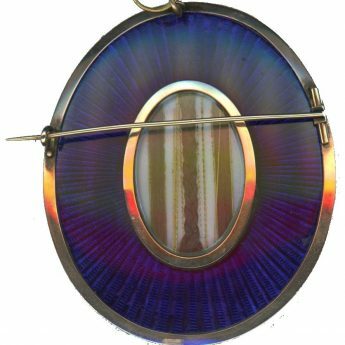 There is a brooch pin attachment as well as a hanging ring.